Barcelona can afford to take things easy when entertaining Sporting Lisbon, with top spot in Champions League Group D already assured. The visitors still have a slim chance of following them through, but would need to win at Camp Nou and hope Juventus drop points at Olympiakos. Sporting’s best chance would seem to be to keep things tight and then pinch a late goal, so this may be a cagey contest, with Barca content to coast along. It was only 1-0 to the Catalan giants when they met in Portugal, so 7/5 for under 2.5 goals here gets the nod for our Barcelona vs Sporting Lisbon betting predictions. Barcelona have hit a bit of a flat spot in recent weeks, including when held to goalless draws at Olympiakos and Juventus in this competition. Ernesto Valverde’s side have also dropped points in their last couple of LaLiga fixtures, a 1-1 stalemate at Valencia and Saturday’s 2-2 draw with Celta Vigo at this venue. Samuel Umtiti has been sidelined with a hamstring injury and Andres Iniesta is set to miss this match with a calf strain. Those setbacks may tempt Valverde to rest some other regular starters, with Sunday’s tricky domestic trip to Villarreal in mind. Looking at the Barcelona vs Sporting Lisbon odds, we like 3/2 for the scores to be level at half-time. Sporting Lisbon kept their qualification hopes alive when claiming a convincing 3-1 win over Olympiakos on home turf. Bas Dost bagged a brace either side of Bruno Cesar’s strike as the Lions roared to a second victory over the Greek outfit. However, Sporting have never won in Spain, where their record is three draws and 11 defeats, including a 2-1 loss at Real Madrid during last season’s group stage. 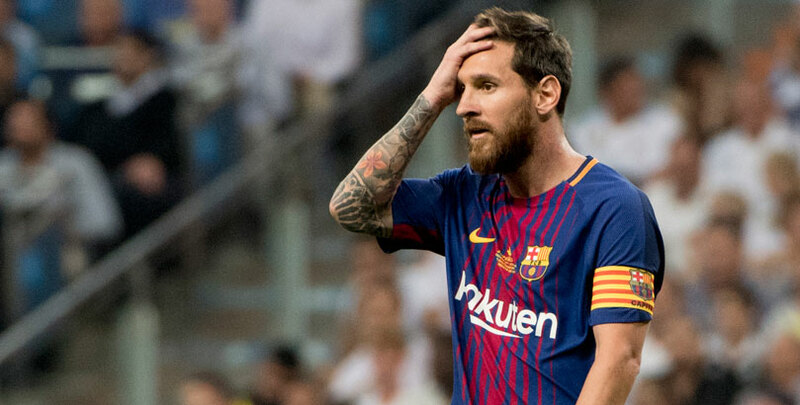 We reckon they will come up just short again and are finishing off our Barcelona vs Sporting Lisbon betting tips by taking 7/1 for a 1-0 home victory.